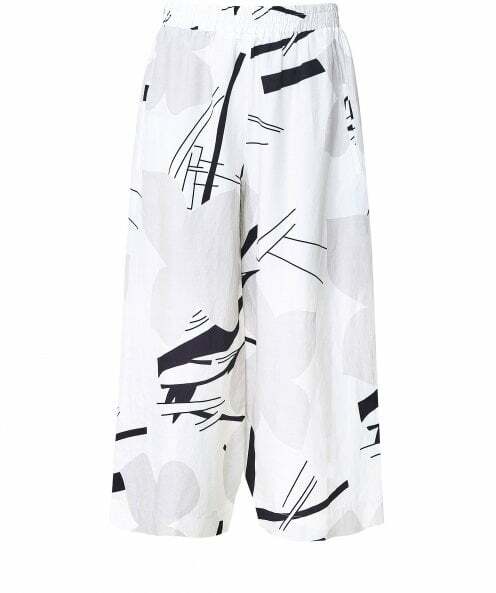 Get the perfect summer look with the Crea Concept printed culotte trousers. Crafted from a structured linen blend, these lightweight culottes feature an elasticated waistband for maximum comfort, whilst a drop crotch and oversized wide leg offers a laid-back silhouette. Complete with an all-over abstract print and two side pockets, these Crea Concept trousers ensure a chic modern aesthetic. *Please note: We do not ship Crea Concept items to the USA.